I spend entirely too much money on household cleaning supplies that I know for a fact contain harsh chemicals. I’ve been really trying to switch over to a more natural approach. Problem is, I really believe in the power of bleach and Lysol and I’m just not sure that natural cleaning products will give me that same sense of cleanliness I’m used to. Then I found these recipes! 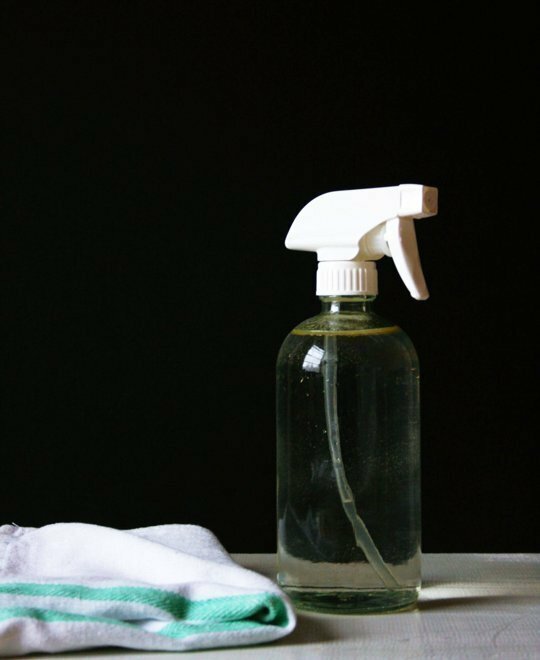 If you’re worried about making the leap to all natural cleaning products, you should start with these. I’m totally sold and my new obsessions are vinegar, baking soda, and castile soap. 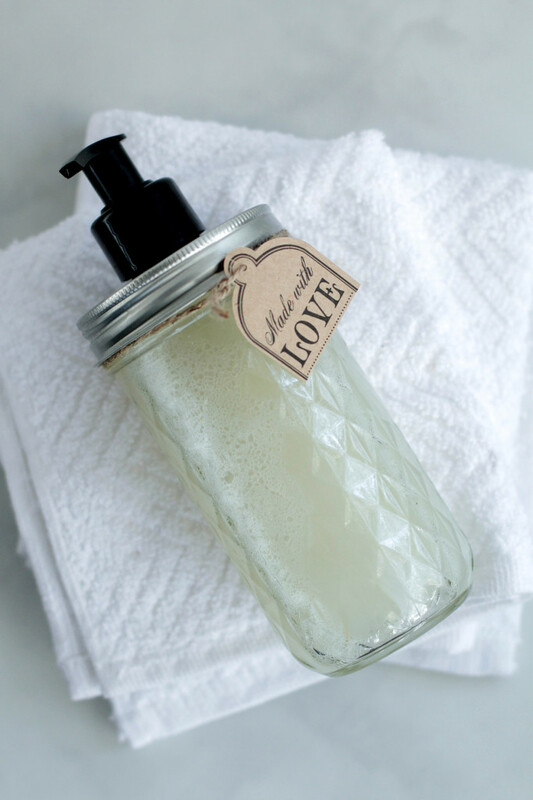 Check out these simple DIYs and be sure to let me know what some of your favorite household cleaners are! 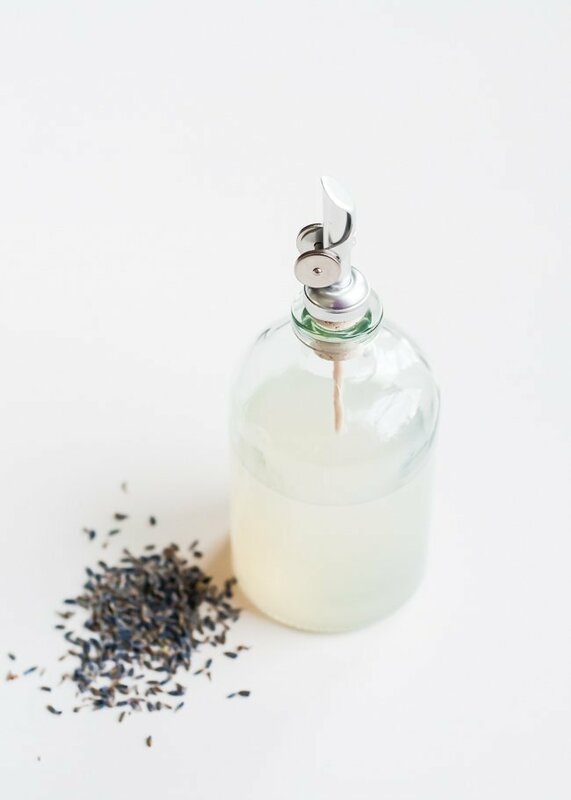 In a mason jar or recycled soap dispenser, add the water first (to prevent bubbles) then the liquid castile soap, followed by the oils. Shake the ingredients together. Shake the soap dispenser before using, then squirt a small amount on your hands as needed, rinsing with water. Gather your supplies. You’ll need a 16-ounce glass bottle with spray attachment, 1 cup distilled white vinegar, 1 cup water, 3 drops tea tree oil, and 3 drops grapefruit essential oil. Pour in the vinegar and water. Pour the vinegar, then water into the bottle. Use a small funnel if necessary. Pour in the essential oil. Slowly pour three drops of tea tree oil and three drops of grapefruit essential oil into the bottle. Shake the bottle. Shake the bottle vigorously before using to allow all ingredients to distribute evenly throughout. Spray directly onto the surface or onto a kitchen towel and wipe area clean. Add the soap flakes and stir to dissolve. Add the castile soap, washing soda, glycerin, and essential oil. Stir well, making sure everything is dissolved. Carefully pour into a bottle with a spout or pump. It needs to set for about 24 hours. Start by giving your dishwasher a quick clean. Use a damp sponge to wipe around the door and along the bottom edges, and check the drain for any food bits, which is a bit gross but a necessary step. Now mix together the baking soda, hydrogen peroxide, and essential oil in a mixing bowl until it resembles damp sand. Use a large spoon or ice cream scoop to mold the dishwasher baking soda bombs, and then gently tap out onto a parchment-lined sheet tray. The baking soda naturally scrubs your dishwasher, while the hydrogen peroxide cleans and whitens, and the essential oil gives your washer a fresh scent. 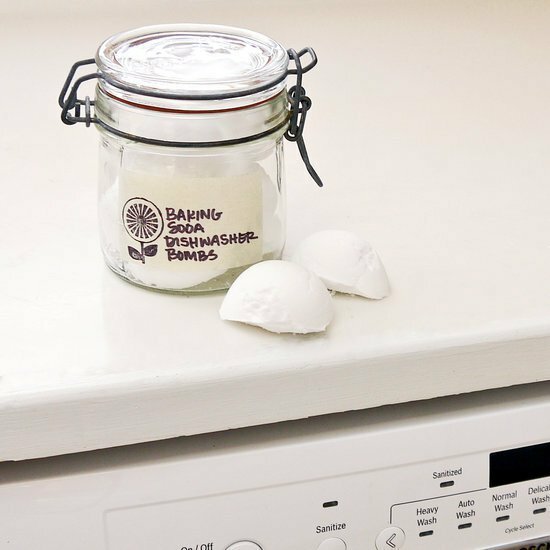 Let the baking-soda bombs dry for several hours or overnight.